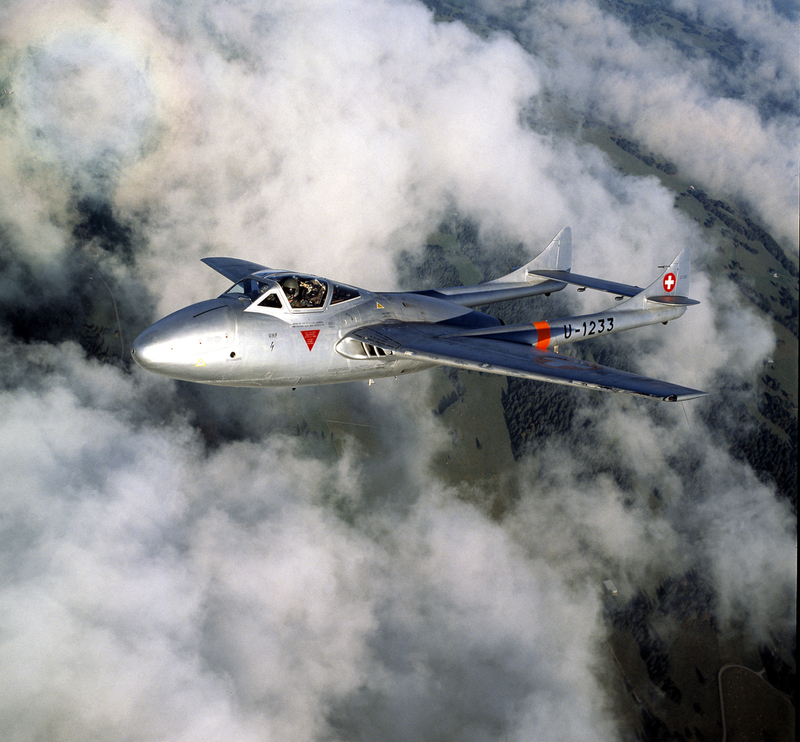 To satisfy their need for a jet-powered training aircraft the Swiss Air Force purchased some two-seat Vampire T.11s from the De Havilland Aircraft Company. Later, after various aircraft were lost due to accidents the Swiss bought some ex-RAF aircraft of which this is one. It was photographed on a flight over Switzerland in October 1989. Note the phenomena of the ‘sun dog’ at top left of the frame, caused by light refracted around the aircraft.